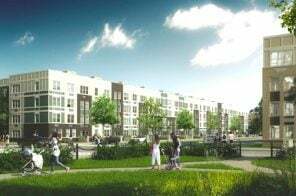 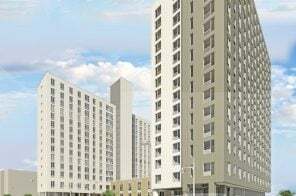 A newly constructed rental that meets passive house standards has launched a lottery for six middle-income apartments in Washington Heights. 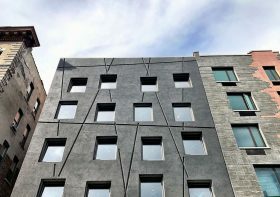 Designed by PM Architecture, the Uptown six-story building contains 20 units and boasts a facade of charcoal-painted insulated panels. 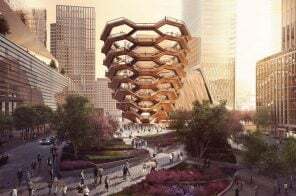 Located at 577 West 161st Street, the building will have a medical office on its first floor, residences above it, and an outdoor recreation space in the back. 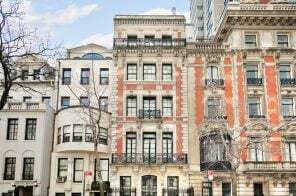 Qualifying New Yorkers earning 130 percent of the area median income can apply for the $1,650/month and $1,800/month one-bedroom apartments.